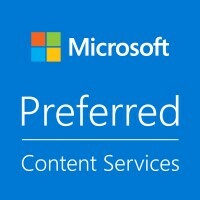 Sword UK are one of only six global businesses to be recognised as a Microsoft Charter Partner for Content Services in 2019. Microsoft launched their new partner programme at the company’s Inspire conference back in July and invited select partners from across the globe to apply and meet the high level of criteria set in order to be accredited the Charter Partner status. Sword UK were selected to apply and exceeded all required criteria for the content services area of the programme based on their work supporting customers including Aberdeenshire Council and Stirling Council through the Sword Digital Enablement programme, helping them to understand the true organisational value of utilising integrated solutions including Microsoft Office 365 and SharePoint technologies. Sword UK recently travelled to the Microsoft HQ in Seattle to receive their accreditation and attend the kick off summit for the global programme. Sword UK have a predominant focus on content services when supporting organisations through their digital enablement journey. Aberdeenshire Council successfully rolled out their own digital transformation strategy and programme recently which Sword UK played a key role in supporting the content services area of this project. As part of the Content Services programme, Sword UK will have access to collateral and resources that will be invaluable to their customers as they move forward on their journey towards Digital Enablement. The Content Services Partner Programme will also help Sword UK to build on the strong relationships they have established with the Microsoft Product Teams and help customers maximise knowledge and reduce risk in migration projects to genuinely enable transformational outcomes.